Motor Image, the exclusive distributor of Subaru vehicles across nine countries in Asia, and Motul, French lubricant specialist, have announced a new partnership to develop and supply a line of exclusive lubricants for Subaru vehicles in Asia. This exclusive line will be offered in eight countries, namely, Cambodia, Hong Kong, Malaysia, Singapore, Taiwan, Thailand, Vietnam, and the Philippines. Motor Image will be the first vehicle distributor that Motul has partnered with globally. Under the agreement, Motul will supply fully synthetic motor oils to Motor Image dealerships in the region. Developed in Japan, the fully synthetic motor oils will be sold in all aftersales networks and Subaru service centers in the region. “Subaru has been closely linked with Motul since its motorsport racing days, and Motul is closely associated with the STI brand. We are happy to partner with Motul again, to re-establish a long-term relationship to provide the best quality products for our Subaru customers,” said Glenn Tan, deputy chairman and managing director of Tan Chong International Limited, the parent company of Motor Image. 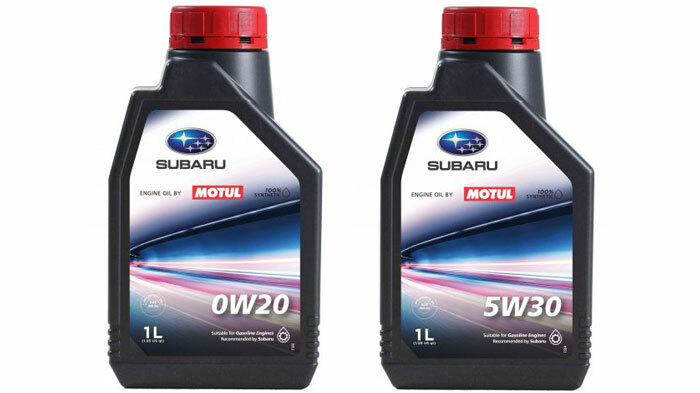 The first batch of products launched this January include Subaru Engine Oils by Motul in the following viscosity grades – SAE 0W-20 and SAE 5W-30. “Motul is very pleased to be collaborating with Motor Image to provide an exclusive line-up of lubricant products and customer experience for its Subaru customers. We believe this collaboration will further strengthen its partnership with Subaru beyond just Motorsports,” said Masaki Shimizu, chairman of Motul in Japan. Subaru Engine Oils by Motul are now available across Subaru service centers in Hong Kong, Malaysia, Philippines, and Taiwan.